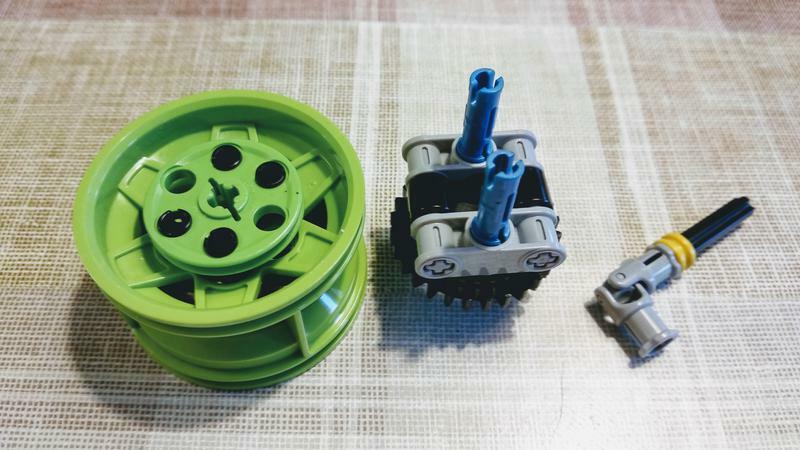 Modern LEGO wheel hubs are known to suffer from a lot of slack. 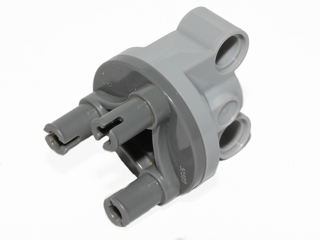 Other drawbacks are that you can only use them with CV-joints - not with the stronger and more angleable U-joints - and the section inbetween the pin holes of the hub is wider than 1 stud. The turn table is attached to the wheel with 2 3L pins. The assembly inside the wheel makes sure the turn table's pinholes are attached to a pin and not to an axle (which would give slack) and sits tight against the inside of the wheel to give stability. 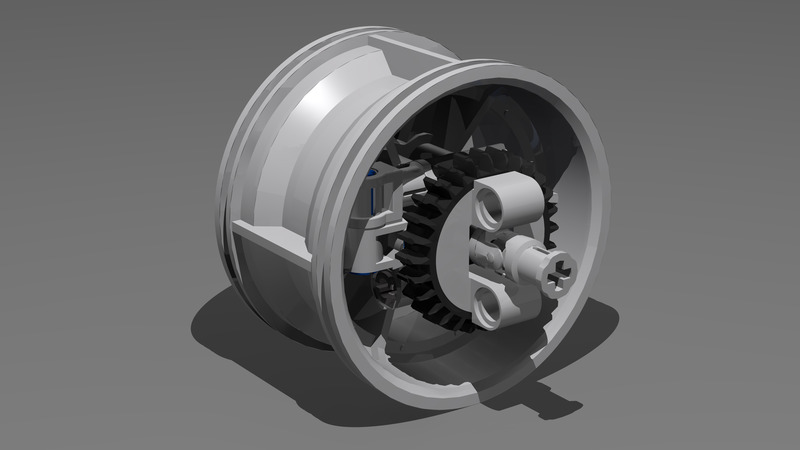 Finally an extra belt wheel is attached to the wheel to give even more stability to the 2 3L pins that connect the assembly to the wheel.